Practice makes perfect. It’s an old adage we all know too well. But what does it mean in the context of meditation? 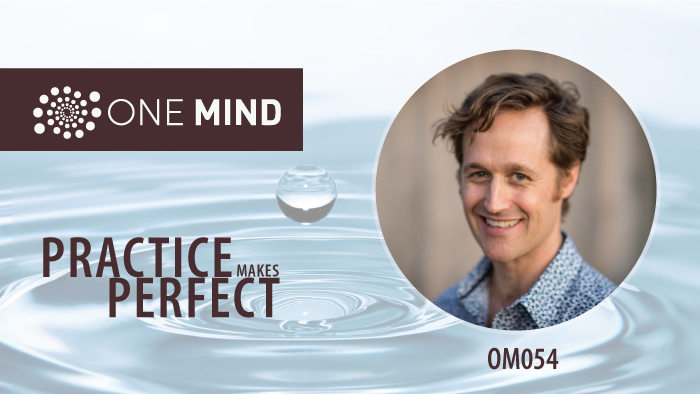 If you pan back and look at all the major breakthroughs in art, science, spirituality, and other fields, you’ll discover practitioners who’ve invested thousands of hours of hard work. Often that work is composed of mundane and repetitive practice. 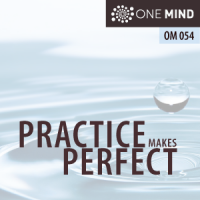 In this episode of the OneMind Meditation Podcast, we explore the power of practice and how so many artistic, scientific, and spiritual luminaries scaled the peaks of greatness through the daily grind of rote rehearsal and blunt effort. With all great endeavors, we all begin at the bottom. The artist starts with simple scales or brush strokes. Over hours, days, weeks, months, and years, the scales turn to arpeggios and become music that stirs our minds and hearts. The brush strokes form compositions and eventually transmit intention, feeling, and emotion. It’s the same with meditation. The masters didn’t become masters without logging too many hours to count. The masters didn’t become more human without the eventual confrontation with oneself that comes with decades of practice. When you practice meditation again and again, you learn how to let go. You learn to see things in yourself that were previously obscured. Above all, you learn how to step outside your own thought stream and develop perspective on your mind. Developing this perspective only comes with regular practice. And let me tell you. There is immeasurable value in learning how to sidestep the jetstream of your mind. Here are just a few reasons that spring to mind. First, you’ll discover that you are much more than what you think. Second, you’ll learn that there’s a part of you that never moves. It’s the very ground of who you are. Third, you’ll recognize that you can never practice enough. Stepping outside the thought stream never gets old. Fourth, you’ll experience a quality of relaxation and existential relief that can only come when you let go of your mind. With this in mind, remember that big things have small beginnings. Your daily efforts are likely to yield more over the longterm that you can ever imagine.